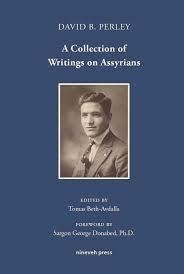 This book collects the writings of the prominent author, the late David Barsum Perley (1901–1979), who devoted his life to the Assyrian cause. He continuously supported and fought for the rights of the Assyrians. Through his numerous writings, he gave a voice to the situation of Assyrians in their countries of origin in the Middle East. 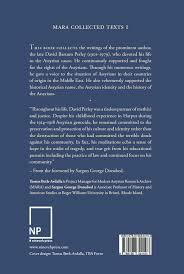 He also vehemently supported the historical Assyrian name, the Assyrian identity and the history of the Assyrians.